Conaway Motors offers congratulations on your 90K mile service in Mukilteo. Reaching this milestone probably means that you have taken excellent care of your vehicle. This should be your third major service event. 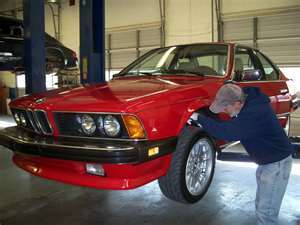 Even if you have, indeed, taken excellent care of your vehicle, this service is exceptionally important. Among other systems, we will check the timing gear and the drive train – two vital parts in your vehicle. By now, both are likely to have quite a bit of wear. If parts of either break, it can cause major damage to your vehicle. Of course, at the same time, we will check fluids, change filters and do all the normal things that go with a service visit. We’ll also hook up your vehicle to the diagnostic computer and do a regular tune up check. What will we find? That is a good question – and is specific to each vehicle and driver. The wear can vary, depending on the environmental stresses of the area where you operate your vehicle. And, of course, the kind of vehicle with also influence which parts will need the greatest attention. Conaway Motors really does offer congratulations on your 90k Mile Service in Mukilteo. If your vehicle has reached that milestone, give us a call at (425)905-2424 to set up an appointment for your vehicle. If your trusty car or truck has made it this far, it is truly worthy of an excellent service visit. That is what we are here to do – provide the service that your vehicle needs. You’ve brought it this far, let us see how many more miles we can coax out of this clearly favorite ride. We are here to help.